UVP-Pro is end of life (EOL) with no replacement. The UniFi VoIP Phone is an enterprise desktop smartphone solution with a brilliant, high-definition color display designed for modern communication, organization, and productivity. 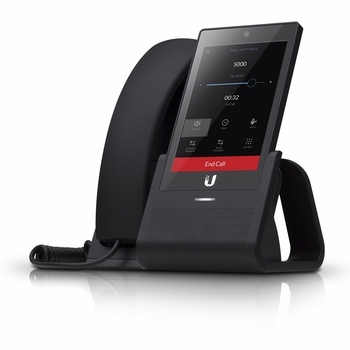 Built on Android and integrated into Ubiquiti’s UniFi Enterprise System, the UniFi VoIP Phone is the next-generation standard for corporate communications.Download and install your favorite apps, stream media, browse the Internet, and access content created and stored in your Google accounts. Each phone can be uniquely personalized, while all the phones are easily deployed and managed with UniFi software.